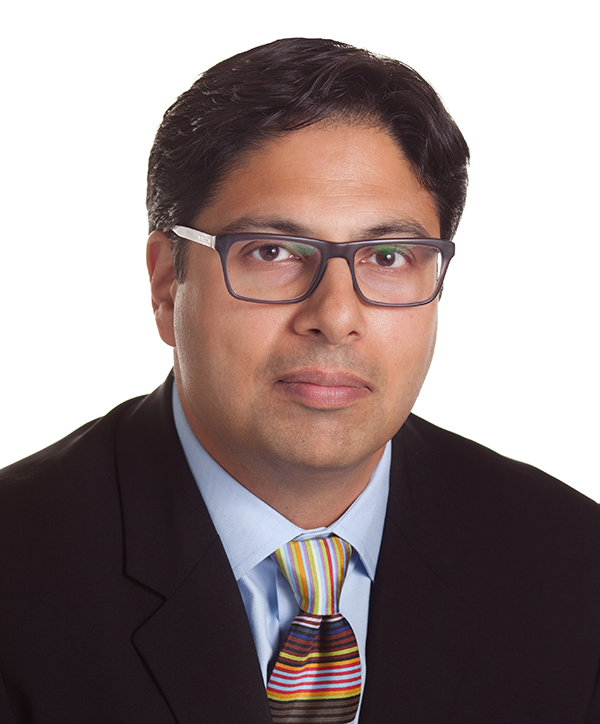 Shiraz Tangri is Of Counsel to the Land Use, Environmental, and Transportation and Infrastructure Practice Groups. He focuses his practice on real estate development, infrastructure and energy projects. With a breadth of knowledge in all aspects of land use entitlements, litigation and compliance, his clients are assured of comprehensive representation and advice. Shiraz’s deep bench of experience includes the California Environmental Quality Act (CEQA), the National Environmental Policy Act (NEPA), and complex multi-party and multi-site litigation involving environmental claims, public-private partnerships, water rights, contaminated properties, toxic torts, insurance coverage and products liability issues. Shiraz fills a specialized niche within Land Use Law, advising on infrastructure, mixed-use and urban in-fill projects in Southern California, including housing, cultural and academic institutions and transit-oriented development. He is experienced and well-versed in the myriad of issues experienced in Land Use, such as compliance with the Brown Act and other public meeting laws, green building, adaptive re-use, air quality and permitting, renewable energy, sustainable development and transportation planning. Shiraz’s expertise is recognized through his inclusion in the “Litigation – Environmental” category of The Best Lawyers in America (2015-2019). Shiraz has also been named to the Daily Journal’s “Top 50 Development Lawyers” list (2014), Super Lawyers Magazine’s Southern California Super Lawyers list (2013-2018), and Los Angeles Business Journal’s “Who’s Who in L.A. Real Estate Law” list (2013). In 2012, Shiraz was listed in the Daily Journal’s “Top 20 Under 40 in California” and “Top 30 Real Estate Lawyers in California” lists, as well as being named a “Rising Star” by Super Lawyers Magazine the same year. In 2011, he was named to the Daily Journal’s list of California’s “Top 25 Land-Use Leaders” and received a “Best Lawyers Under 40” award from the National Asian Pacific American Bar Association. In 2010, Shiraz was one of only ten environmental lawyers nation-wide named as a “Rising Star” by Law360. Regents of the University of California—UCLA Luskin Center Project. Secured crucial trial and appellate victories for the University of California, Los Angeles (UCLA), prevailing on all CEQA and taxpayer claims filed by a local community group to stop the construction of the $162M Meyer and Renee Luskin Conference and Guest Center—one of UCLA’s highest profile campus projects. Obtained dismissal of the project’s primary donors from the case, arguing that this was retaliation for exercising their free speech rights, which was upheld in a published appellate case. County of Los Angeles—Correctional Facility Projects. Served as lead counsel in the environmental review process for two major detention projects: (1) the $2.2 billion Consolidated Correctional Treatment Facility to replace the Men’s Central Jail in downtown Los Angeles (Los Angeles County Board of Supervisors approved the project’s budget and certified its environmental impact report in June 2018) and (2) the $137 million Mira Loma Women’s Detention Facility in Lancaster to replace the Century Regional Detention Facility in Lynwood (Los Angeles County Board of Supervisors approved the project’s budget and certified its environmental impact report in October 2016). Advised client on compliance with CEQA, the Brown Act, and other legal requirements applicable to the new jail projects. Irvine Ranch Water District v. Orange County Water District. Litigation counsel for three groundwater pumpers in litigation initiated by a competing groundwater producer challenging the Orange County Water District’s administration of an unadjudicated basin. The plaintiff seeks writ and/or validation relief that would alter the way recycled water use is considered in determining replenishment assessments on all groundwater producers in the basin, to the detriment of most other producers, and also challenges the Orange County Water District’s right to regulate exports of groundwater from the basin. Regents of the University of California—East Bay Hills Fire Risk Reduction Project. Litigation counsel in two NEPA lawsuits and a CEQA action filed by environmental groups challenging hazardous fire risk reduction activities proposed by the University of California, Berkeley, including project grant funding by the Federal Emergency Management Agency. Onni Development Group. Counsel for Canadian-based developer of multiple urban, mixed-use high-rise projects in downtown Los Angeles. Represented client in the environmental review and entitlement process for three high-rise residential towers. Los Angeles Streetcar Inc. General Counsel for non-profit public-private partnership promoting a modern streetcar system in downtown Los Angeles. LASI oversees the development, fundraising, planning, environmental review, engineering and outreach for the project. Successfully obtained project support from property owners and voters to secure local capital and operational funding for project. Assisted client in formation of community facilities district and environmental review process, including compliance with the Brown Act. In November 2016, the Los Angeles City Council unanimously approved the project’s environmental impact report and preferred route, the City approved the project’s financial plan in August 2018. City of Colusa—Colusa Riverbend Estates Project. Defended lawsuit alleging violations of CEQA, civil rights for procedural due process and inverse condemnation. Worked with developer to achieve successful settlement that allowed the City to re-consider and approve the project. Alameda Corridor Transportation Authority—SR-47 Project. Litigation counsel for a joint powers authority. Successfully defended CEQA and NEPA lawsuits challenging a $700M bridge replacement and expressway project in trials in state and federal court, and achieved appellate victories in the California Court of Appeal and the Ninth Circuit. The authority is responsible for developing transportation infrastructure for the Los Angeles-Long Beach port complex. The Related Companies—Grand Avenue Project. Counsel for developer of a $4B urban mixed-use redevelopment project in downtown Los Angeles. Successfully negotiated the settlement agreement to quickly resolve litigation over project approvals and allow project to meet milestone deadlines. Plains Pipeline Co.—Pier 400 Project. Counsel for an energy development client. Successfully defended the approval of a $400M marine oil super-tanker terminal in the Port of Los Angeles, handling all litigation activities and successfully winning the case at trial in January 2010. LA Plaza de Cultura y Artes. Counsel for a new museum and cultural center in downtown Los Angeles. Successfully represented the museum in working with Los Angeles County regarding compliance with numerous statutory obligations, including CEQA, NEPA, the National Historic Preservation Act, and the Native American Graves Protection and Repatriation Act. Negotiated with community groups to complete project development on-schedule and avoid threatened litigation. Iberdrola Renewables, Inc. Counsel for an international renewable energy developer. Represented the client in a proposed $43M acquisition of 12,500 acres in Southern California for the development of potential wind and solar power projects. Negotiated multiple aspects of the real estate transaction and coordinated land use and environmental due diligence review. Vornado Realty Trust—Beverly Connection Project. Counsel for an urban shopping center in Los Angeles. Negotiated the settlement agreement to resolve litigation and community opposition, and obtained approvals of revised project after creating a community benefits program. Southern California Edison. Counsel to a regulated electric utility in advising project development teams on issues related to obtaining approvals from the California Public Utilities Commission (CPUC) and other agencies for new electrical distribution facilities. Alpine Development. Counsel for the developer of over 30 master-planned communities and commercial sites in Riverside County and Antelope Valley. Led the project teams and coordinated environmental and land use due diligence, acquisition and remediation activities.